**REDUCED $20k ~ JAN 2019** Looking for a great place to just get away from it all? No neighbors, no traffic, no noise? Just being surrounded by nature at its best all within a 10 minute ride to a beautiful beach? Then look no further!! The main house is a one-story with approximately 1300 square feet of interior living space. Three bedrooms (one of which is currently a small office with a unique wine-cellar space) and two full bathrooms. The two bedrooms also have capability for an extra bed in the upper loft areas. The living/dining combo open up to a fantastic covered patio. The kitchen is off the main entrance and is a nice size and quite functional. The amount of land the property has is enormous with over 1900 square meters on 2 lots. There is a separate outdoor area for laundry and a garage which is currently doubling as a workshop built with the mechanic in mind. 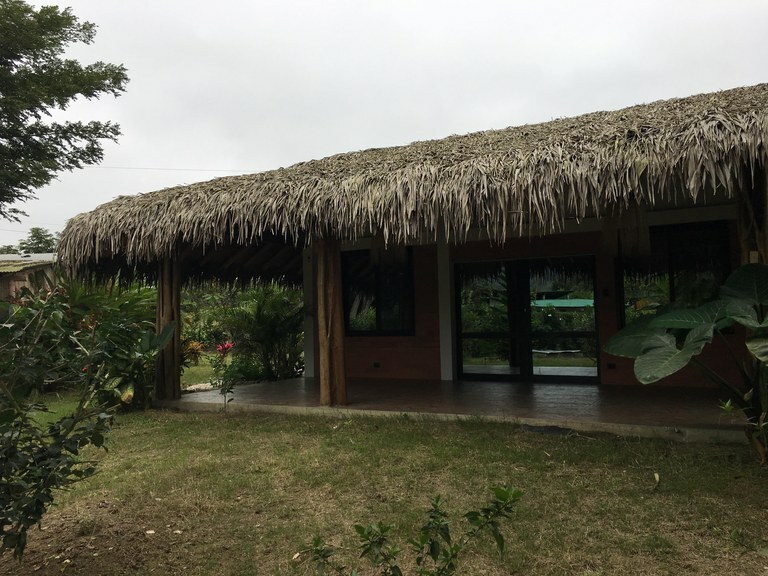 This lush mountain-like retreat is a fantastic opportunity to do multiple types of planting and farming, raise animals, grow organic products, build additional structures for rental income, and much more. A great up-and-coming area, this is an opportunity for those looking for a getaway destination. Great quiet modern townhouse in central Salinas, close to all!! 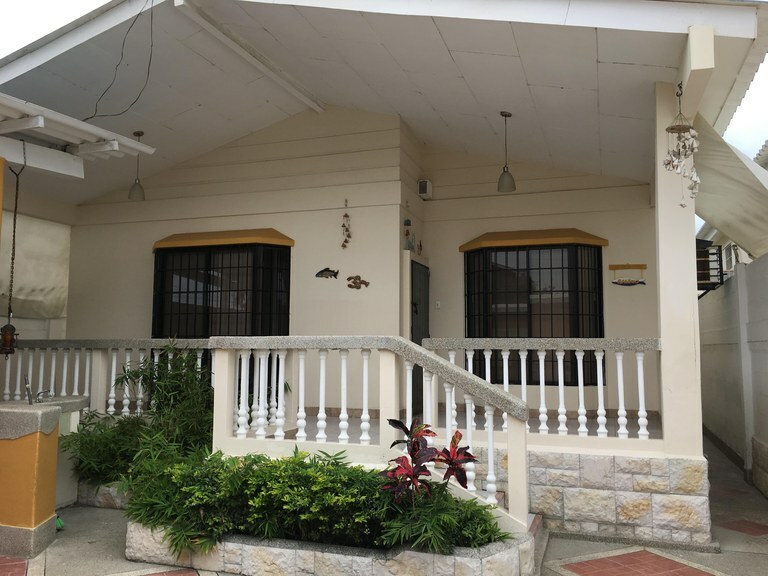 This is a fantastic permanent rental home for someone looking to relocate to Ecuador and live away from the hustle and bustle of the Salinas boardwalk crowds. 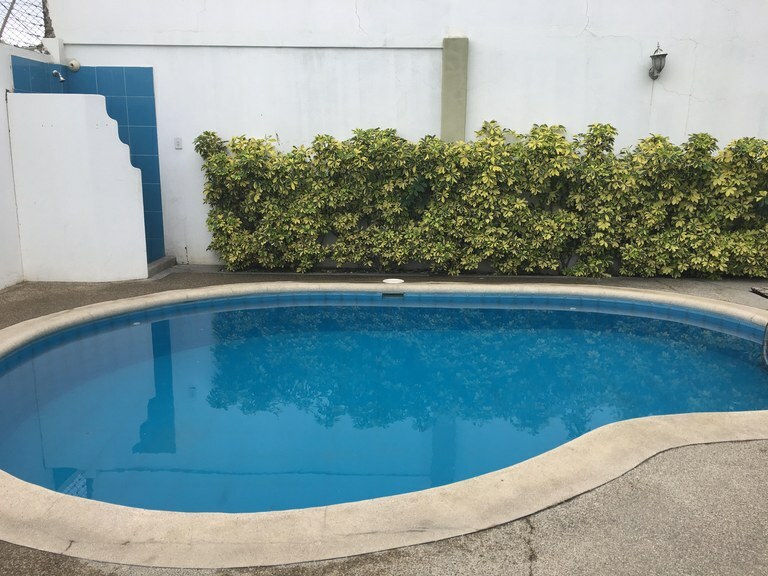 Located in central Salinas, close to the Supermaxi mall, this townhouse has easy access to public transportation in a quiet gated community setting. Entering the property through the exterior covered patio area with lots of outdoor seating and guanabana tree, you come into the downstairs which is all one big open area. Nice large living area with tv, a separate dining area, and a large open concept kitchen. There is an air-conditioner downstairs and a half-bath off to the right, under the stairwell to head up to the second floor. Heading upstairs you come upon a small sitting area in the landing. Upstairs there are three bedrooms: the two back bedrooms share a full bathroom and the master has its own en-suite with his/hers sinks. There are a/c, curtains, and closets in each of the bedrooms. The two-story townhouse is one of 5 attached units in this small gated complex with 24 hour guard and small shared community swimming pool. There is parking out front of the unit and there is room for an additional vehicle on the street. The monthly rental fee includes the homeowners fee. All utilities are separate. There is currently direct-tv cable service installed which is a pay-as-you-go option. Internet is easily installed. This unit is for rent only on a year-long basis. First, last & security required upon signing. Pet friendly with prior approval and separate pet deposit. Enjoy hilltop views in this small coastal town of La Rinconada. 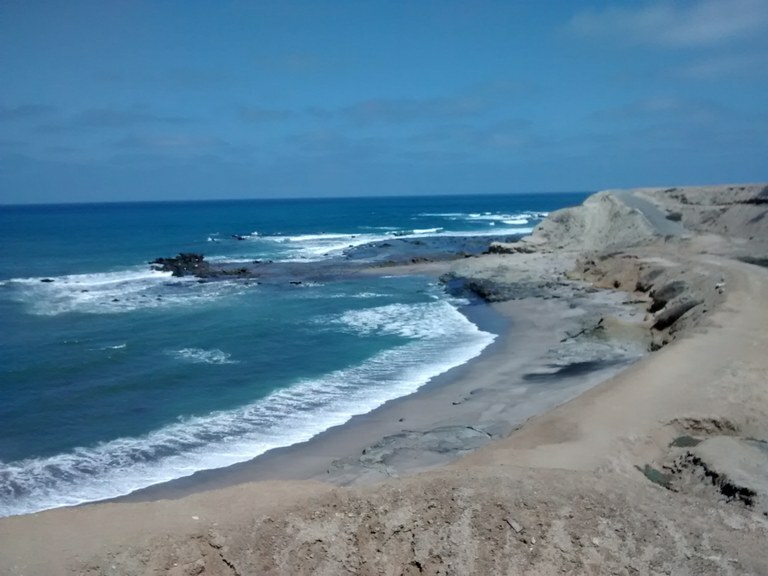 Fantastic location to develop your ocean-view project or development. Paved roadway to the property is already in place. Electric, water and internet available. Comuna deed. Lot is 10,682 square meters. Location, Location, Location!! 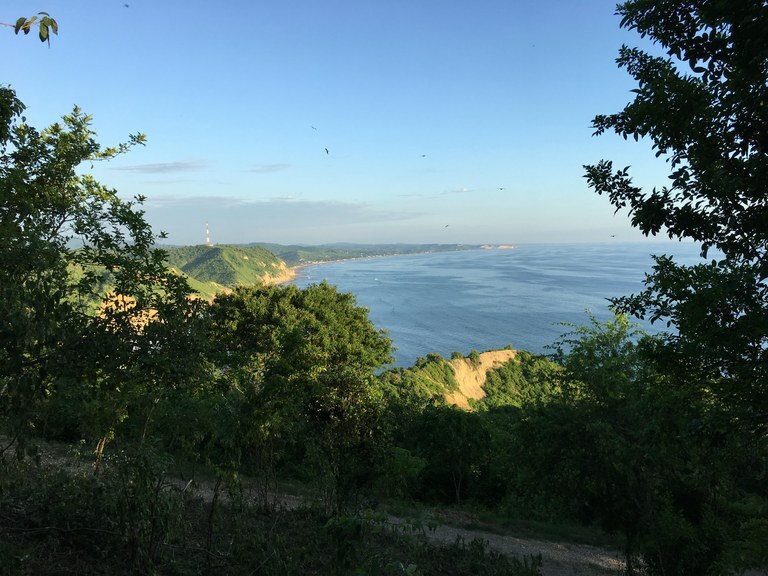 This macro-lot is ideal for an investor looking to develop an ocean-front development project. With partially terraced areas along with some internal roadways already laid out, one can envision the makings of a unique and exclusive gated community. 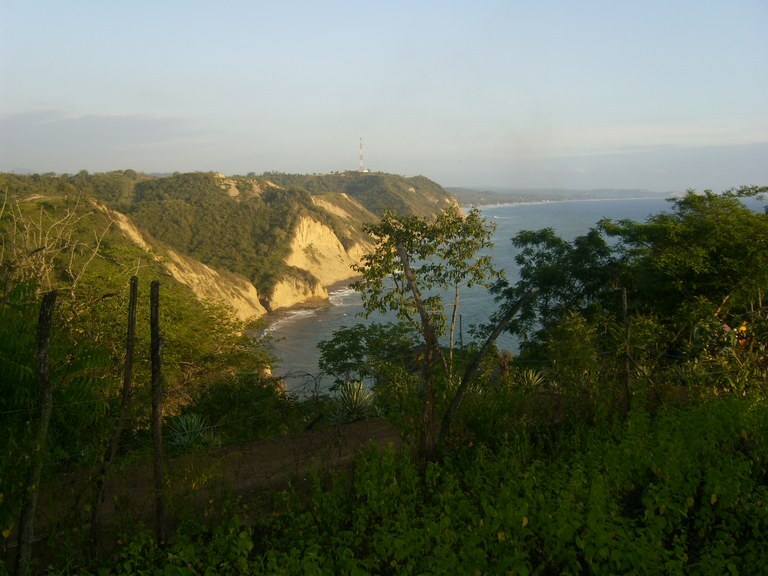 The lot measures 50 hectares and has direct private beach access as well as high hilltop views. The possibilities are endless! Access to water, electric, internet and cable. Paved roads lead to the entrance of the property. 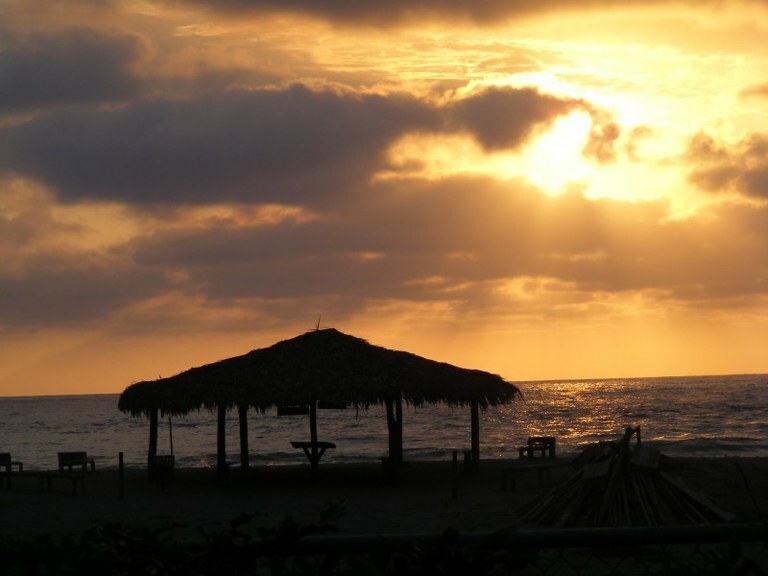 Looking for that perfect home at the beach? Then take a look at this hidden jem. 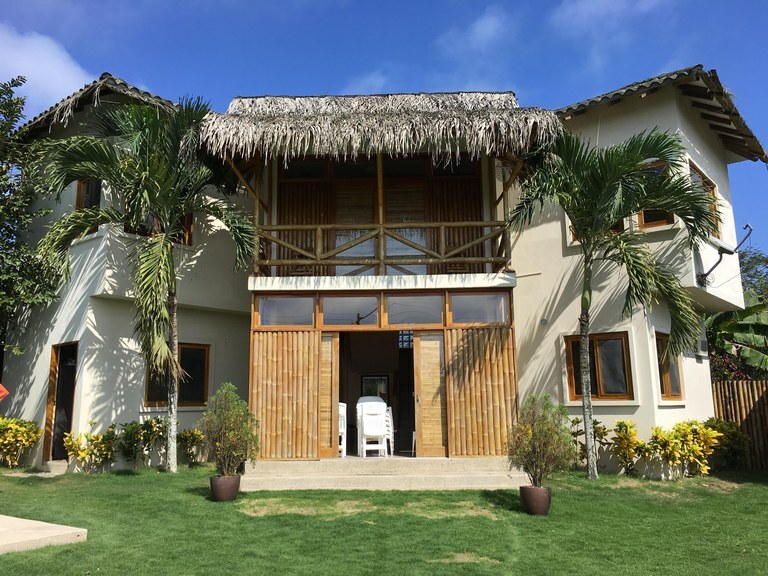 Tucked away nicely all of a block from the ocean in a small beach town located close to the nearby towns of Montañita and Olón. This 2 story home is located on a 500 square meter lot and its interior space is just about 2000 feet. Downstairs is a nice sized kitchen with a separate small dining area. Pass through here to a living room which opens up to the great outside views. There is a bedroom downstairs with its own air-conditioner, as well as a full bathroom. Head upstairs and you will find two more bedrooms each with air-conditioning and own full bath. There is also a fabulous upstairs seating area with a nice balcony from which you can see the ocean a block away. Almost the best part of the property is the nicely manicured green grass lawn, covered outdoor seating area with bbq, and nice in-ground pool. Last lot available in this privileged hilltop location in La Rinconada. Fantastic location to develop your ocean-view home or development. Terraced hillside excellent for planting and farming indigenous vegetation. Roadway already in place. Electric, water and internet available. Public deed and all paperwork in order. Lot is 2400 square meters. This house is a great vacation rental in a great beach town. 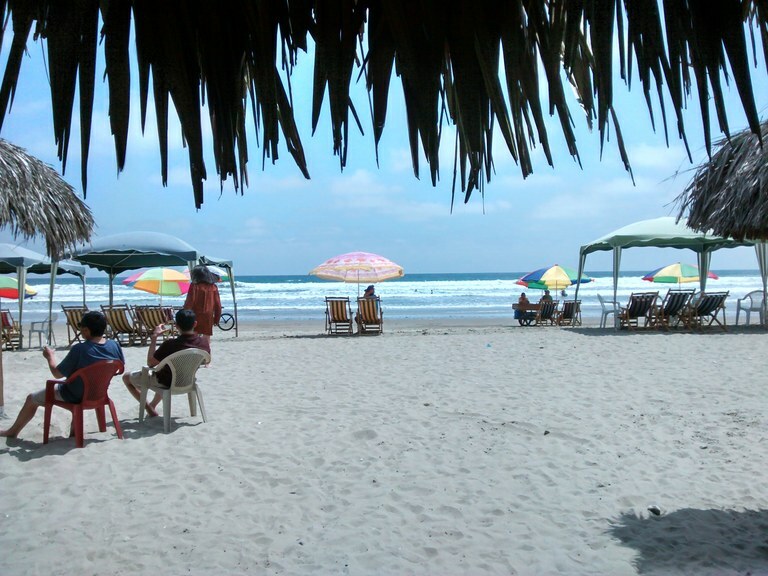 Walk just steps outside your door to arguably the best beach on the southern coast of Ecuador. Everything here is walkable: beach, restaurants, shops, bars, stores, markets, and transportation. A nice sized expat community is here as well as the national tourists who come in on the weekends. The property itself is a two-story home with small seating area in the entryway. You enter into a large living/dining room with open concept kitchen. There is a full bathroom downstairs as well as a bedroom. Upstairs there are two more bedrooms, each with own full bathroom as well as balcony access. There is hot water, air conditioning, and internet. Tenant must pay electric usage separately. Rates vary depending on season and length of stay. Security deposit required on all stays. This fabulous home is truly one-of-a-kind. 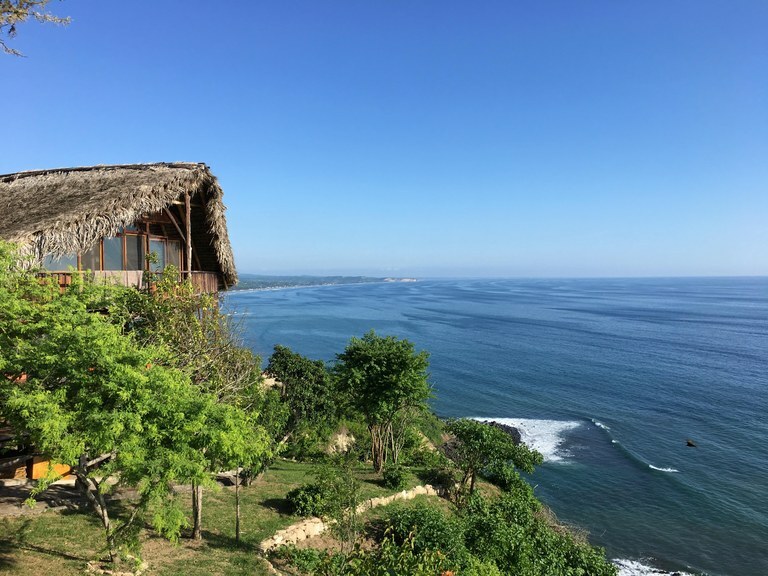 Nowhere else can you enjoy unobstructed direct ocean views like this from atop your own private hideaway on a hill overlooking the Pacific. The views are just about 360 degrees around and with the circular design features in this home, almost every interior space offers a view of the natural beauty that surrounds you. The rustic home is designed to blend into its surroundings letting in lots of light and breezes while offering a peaceful place to enjoy your stay. The first floor of the home is completely open concept with living, dining and kitchen opening up to a huge wrap-around balcony for your hammock-lounging pleasure. Upstairs the 3 bedrooms and 2 full bathrooms are cozy and the master offers fantastic views. The lower ground-level floor has more hammock space under the covered patio, where the laundry area is located. There is a small one-bedroom guest house off to the side. The main house is wired for internet. Parking is plentiful. The road to the home is gravel and leads to the paved main road which heads to town or to the main highway. Rates do not include utilities: High season $2500/month; Low season $2200/month; Year-contract $1900/month. Great house in a great Salinas neighborhood! !